The BBQ Cook-off kicked off the 2015 season of programming at NOW Hunters Point with three local BBQ chefs: Diane Bradford with BBQ Queen Catering Oscar James of Po’ James Catering, and Thomas Bailey of Gumbolaya New Orleans Catering. 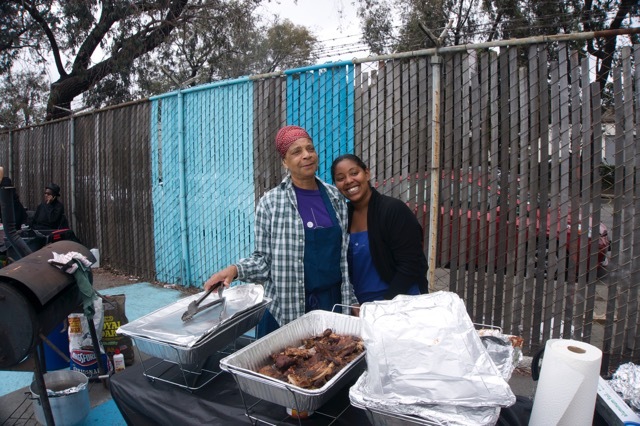 Attendees sampled food prepared by the local chefs and cast ballots for the NOW Hunters Point BBQ Master. The event also included kid-friendly activities like a bounce house, face painter and balloon twister!